When it comes to dinosaurial vacation getaways, you can keep your Jurassic Parks. 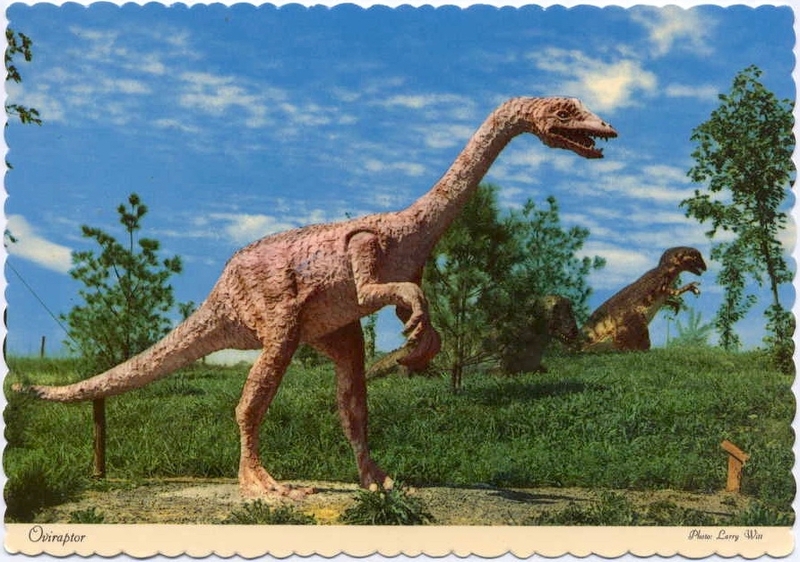 Give me the original: Dinosaur Land! 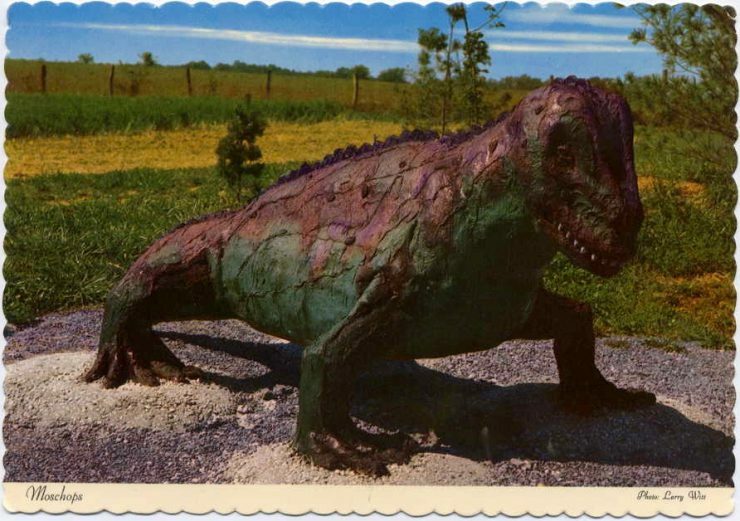 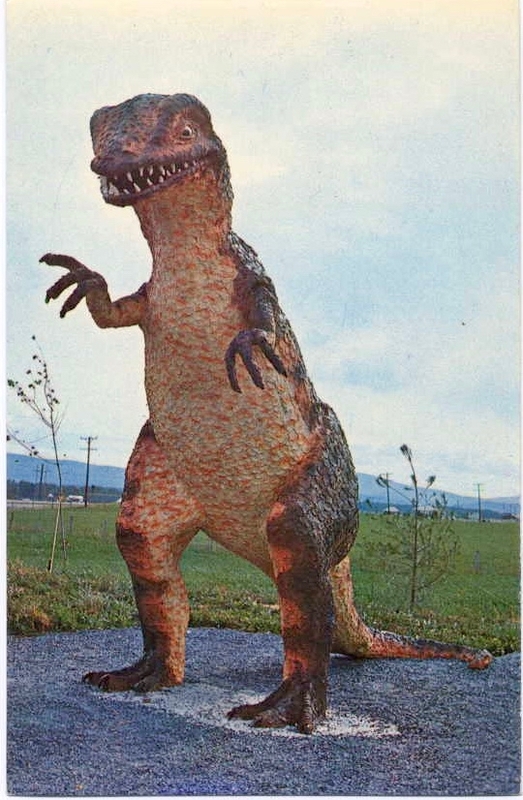 Located at “the intersection of 277, 522, and 340 between Winchester and Front Royal, Virginia,” Dinosaur Land offers around 40 life-size reproductions of fiercesome reptilis. 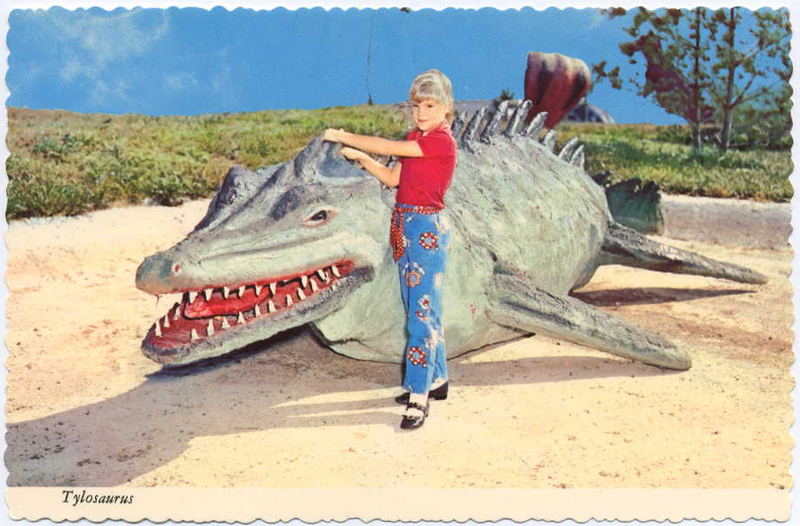 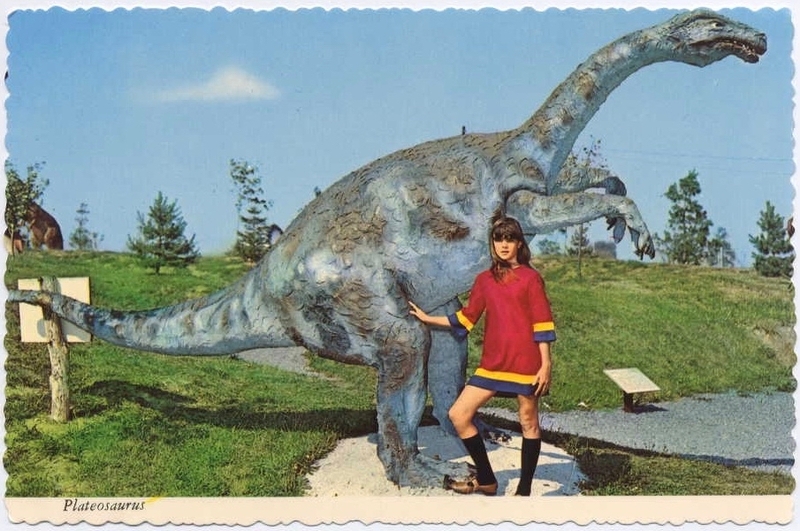 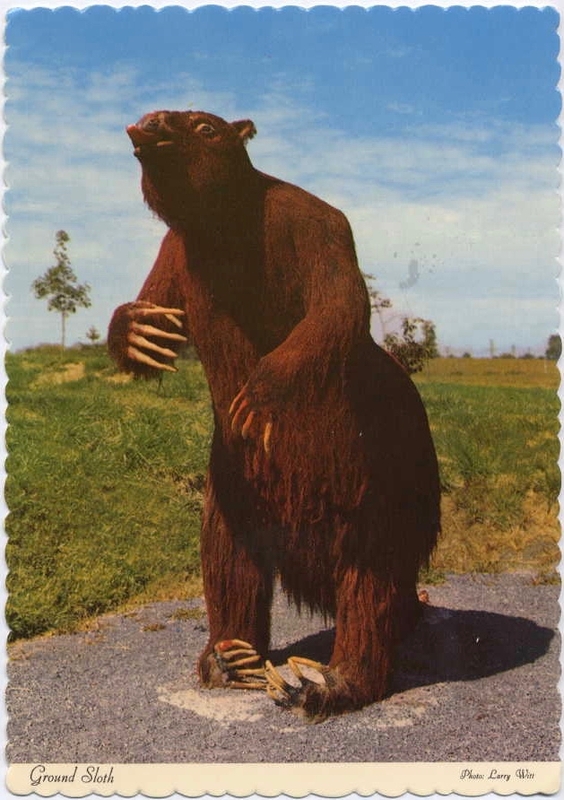 Even more exciting are the postcards issued by the park’s owner, who used his ’70s-garb-wearing daughters as models. 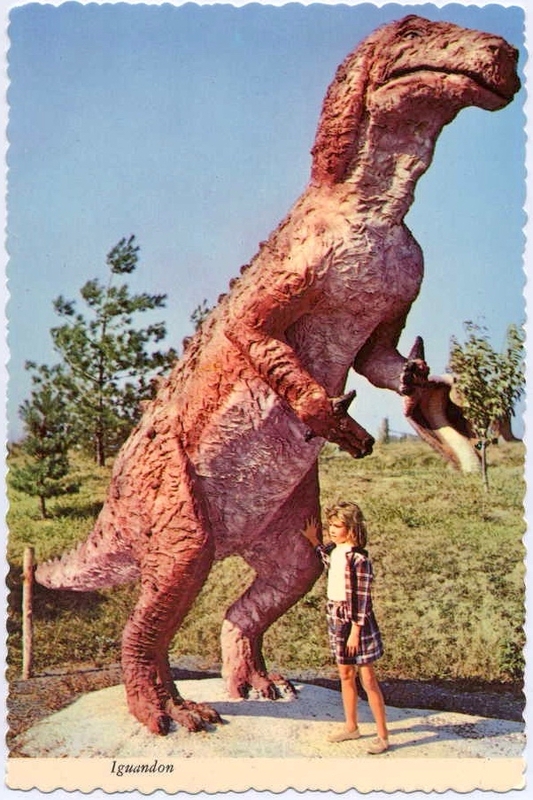 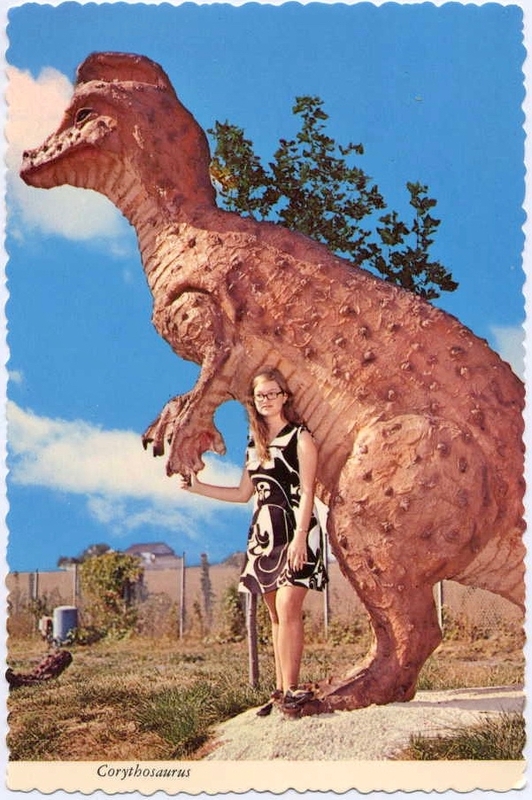 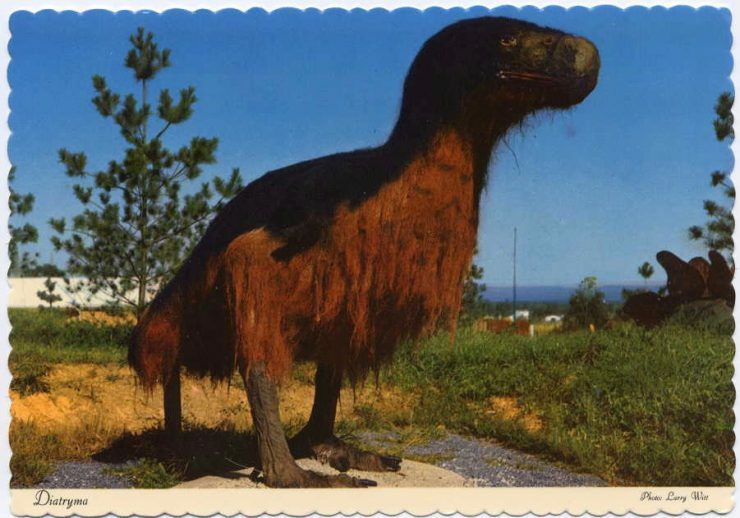 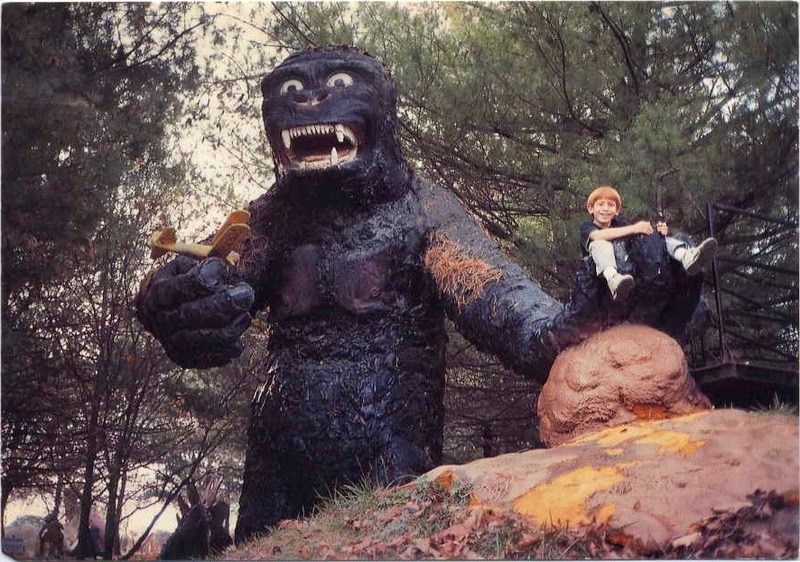 You can still visit this classic roadside attraction, though the dinosaurs appear to be a bit more life-like: dinosaurland.com.